We bring you an exclusive selection of Silver Antique Jewellery that is worth treasuring forever. Ranging from breathtakingly bold to perfectly refined, our Silver Antique Jewellery reflects an unwavering demand for perfection. Available in a huge medley of artistic designs, they are crafted from the highest-quality Silver. 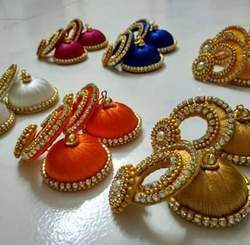 Each bunch 110/-. 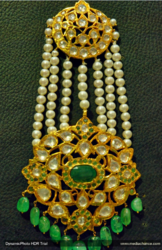 Pearl lorials are widely used in jewellery making. Addition of pearl lorials are one of the very attractive attributes of fashion jewellery.